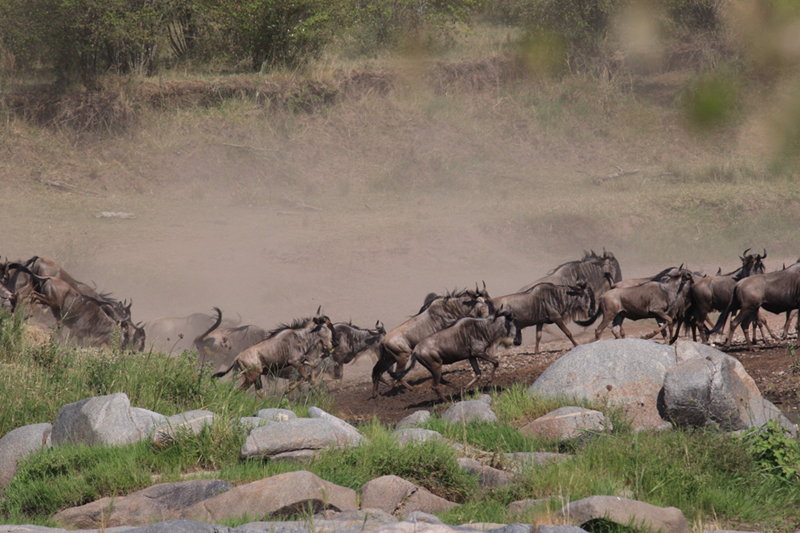 Want to know where the wildebeest herds are? 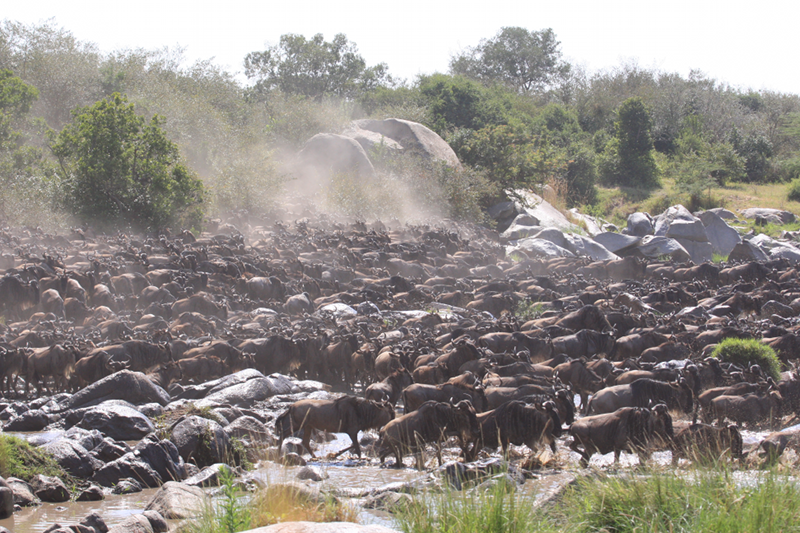 People planning to travel to Kenya and Tanzania for the Great Migration can now track one of nature’s most spectacular events even before they get there – via a web application called HerdTracker. Created by Discover Africa, a leading tailor-made safari operator based in Cape Town, HerdTracker plots the exact position of the wildebeest herds on a real-time Google map, using weekly updates sent in by pilots flying over Kenya’s Masai Mara and Tanzania’s Serengeti, safari guides, Tanzania National Parks Authority (TANAPA) rangers and lodges in the area. HerdTracker was designed and built by Discover Africa’s own web development team using open-source software in just two months, using the idea of their East Africa expert, Carel Verhoef, a qualified safari guide who has lived in the Serengeti for ten years. Between 2003 and 2011 Verhoef led over 300 migration safaris, and developed a deep understanding of – and appreciation for the annual wildebeest migration. While living in Tanzania, Carel also climbed Kilimanjaro nine times. His 10th assent is scheduled for August 2014. Co-founder of Discover Africa, Andre Van Kets says that the development of the app was not overly complex. “We’ve used open source tools and Google Maps, which has an open API, although we used our own icons, not the standard set. We’ve combined that with the human element so we’re not just posting the GPS coordinates, but the comments of our guides too,” says Van Kets. He says that the main aim of HerdTracker is to help people choose the best accommodation to stay at and when to go to ensure that they don’t miss the Great Migration. “A safari experience is a trip of a lifetime, which can be a complex process to plan for, especially for first timers. “We’ve developed HerdTracker to help make the journey easier for our customers. “It’s an incredible tool that allows you to not only track the great migration in real time, but predict where the herd will be at the time of your travel,” adds Van Kets. HerdTracker is your usual Google Map, modified with little pins stamped with a wildebeest. Each pin is clickable and displays a message by the person who has sent the update (Our sources listed above). Van Kets says that they designed the app for browsing on your phone first, rather than for desktop computers. “We designed it to be mobile first, because if you first build a desktop version and try to shrink it to mobile, it’s really difficult. It’s better to build it for a small screen and then scale it up,” says Van Kets. Plans for the future? Discover Africa is considering building and designing an Android app that would send updates to its users without having to visit the website. HerdTracker’s migration updates are available to see on https://www.discoverafrica.com/herdtracker. 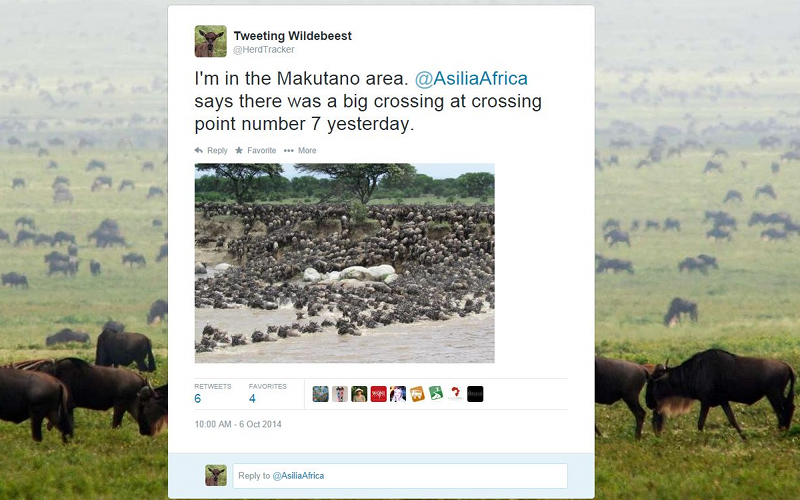 They are also available on Twitter via the @HerdTracker handle. My friend is planning to travel to Kenya and Tanzania for the Great Migration and can now track one of nature’s most spectacular events even before they get there – This is a very helpful thing.